UPDATED: Wed., Aug. 29, 2018, 7:33 p.m.
A motor home was destroyed and a pet killed Tuesday night in a fire west of Cheney. 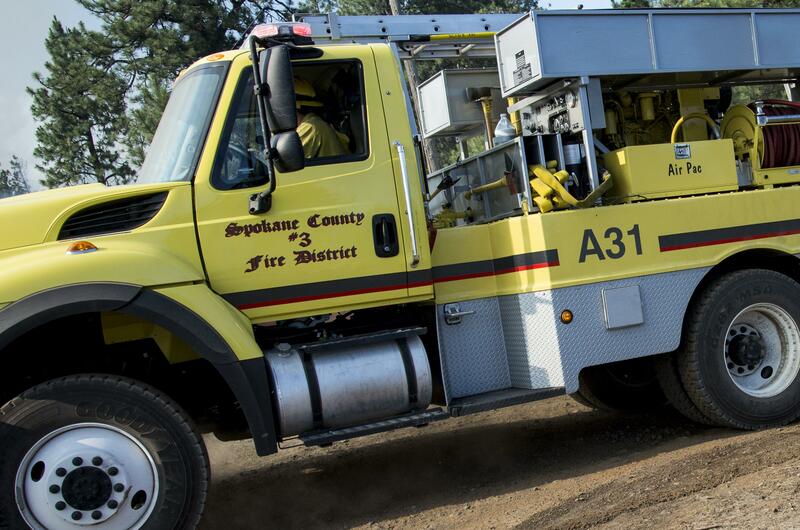 Firefighters with Spokane County Fire District 3 responded to the blaze at about 10:40 p.m. at 18302 W. Salnave Road, where they found a motor home and vehicle engulfed in flames, said spokeswoman Debby Dodson. The fire was quickly knocked down in about an hour. The motor home, an outbuilding and vehicle were totally destroyed, while a garage was partially damaged, Dodson said. Dodson said there were no injuries to residents or firefighters, though a dog unable to escape the motor home was killed. At the tail end of the fire, Spokane County Sheriff’s deputies arrested a resident with outstanding warrants for felony burglary and vehicle theft. Noelle Kenworthy, 41, was booked into the Spokane County Jail at about 1 a.m. According to court records, Kenworthy failed to show for a June 29 hearing. She has no prior felony history in Spokane County. Published: Aug. 29, 2018, 2:19 p.m. Updated: Aug. 29, 2018, 7:33 p.m.